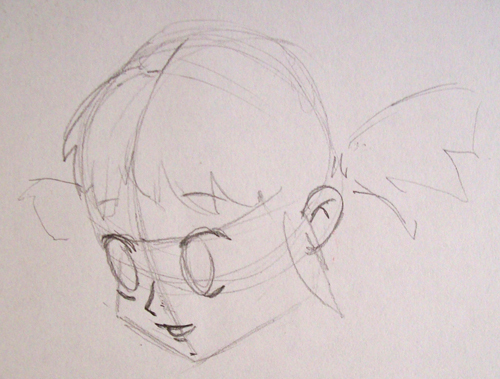 I draw her hair and ponytails. See how it looks perfectly, while the other one is slightly covered by her looking sideways. 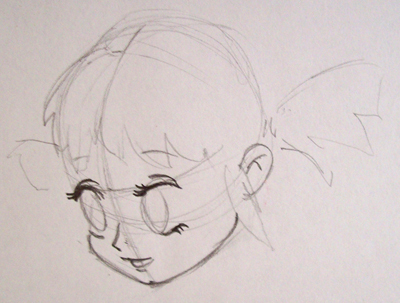 I begin drawing details, like her eyelids and eyebrows. I press down with the pencil since these lines will be definite. The other ones, the guidelines, will be erased later. These have been left in a light gray without pressing hard on the paper.